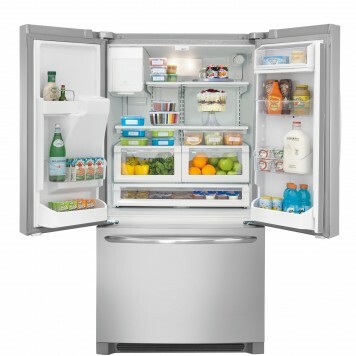 CHARLOTTE, NC, April 9, 2013 – Frigidaire announced today the launch of its new Gallery French Door Refrigerator. The latest addition to its Gallery collection, the new unit is designed with the refrigerator above the freezer and features Frigidaire’s innovative organization system, which will give consumers more than 100 ways to organize their food. The refrigerator has also earned the Good Housekeeping Seal after evaluation by the Good Housekeeping Research Institute. The organization system features new flip-up and slide-under shelves. 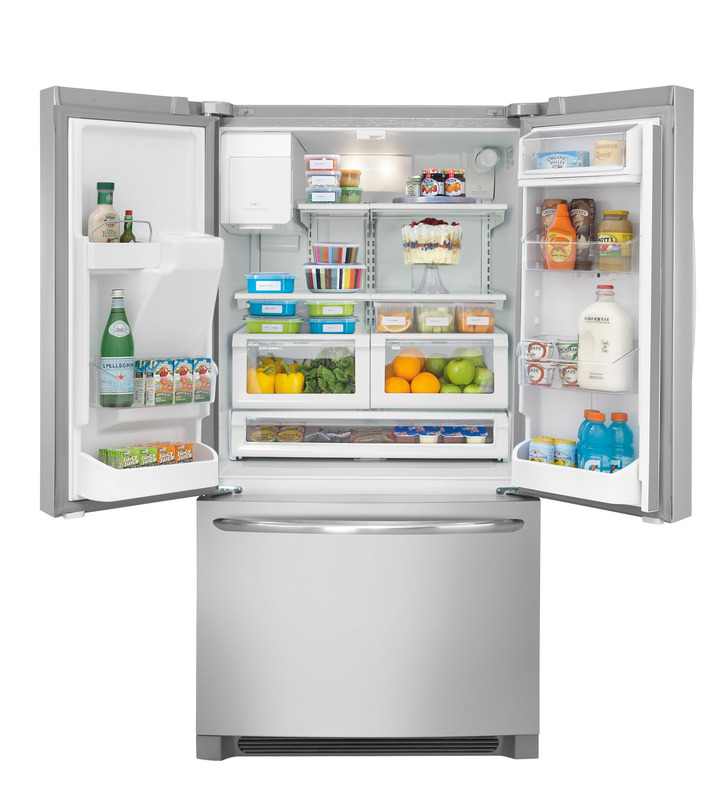 Unique to the industry, the Frigidaire system lets consumers customize the organization of their refrigerator to make more room for their specific pots and pans, storage containers and specialty food items. 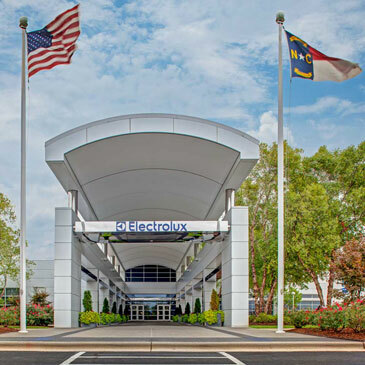 “Our innovations are designed based on consumer-driven insights,” said Joon So, Vice President and General Manager of Refrigeration, Freezers and Home Comfort Products for Electrolux in North America. “Between work, school, family time and other activities, consumers’ lives are more complicated than ever,” said So. “This refrigerator accommodates them and gives them an organized and easy-to-use appliance that delivers fresh food,” he added. Moveable and Stackable Crisper Drawers – Allows the user to customize the refrigerator based on individual needs. PureSource Ultra® Water Filtration – Provides best-in-class, cleaner, fresher water and ice. Three-Tier LED Lighting – Corner-to-corner lighting for better visibility. Store-More™ Full-Width Drawer – Offers storage for small to large items. Store-More™ Bins – Designed to hold more, like a gallon of milk. Deep Freezer Basket – Deep plastic freezer storage with adjustable divider. Available in April, the refrigerator is Energy Star® qualified, available in stainless steel, black and white and retails for $1,999 to $2,899. Please visit www.frigidaire.com for more information. As compared to other consumer refrigeration water filtration systems.